Background : Son of Walter and Mary Kathleen Mitchell, of Coburg, Victoria; husband of Violet Neville Mitchell, of Caulfield, Victoria. 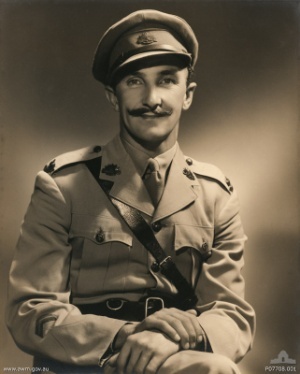 Captain (2/2 Pioneers) until promoted and posted to Torres Strait command (accidental death there). Was at Wesley College, Victoria.